News and photos of these events should be posted in the regular threads. Congratulatory messages are off topic in those threads and should be posted here. Please be mindful of the dates of the occasions and don't post messages too early or late. Happy 44th Birthday to Kelly, Hereditary Princess of Saxe-Coburg and Gotha! Happy Birthday to Hereditary Princess Kelly! Happy 58th Birthday to Archduke Karl! Happy Birthday to Archduke Karl! Happy 50th Birthday to Prince Gustav of Sayn-Wittgenstein-Berleburg! Happy 18th Birthday to Archduchess Zsófia of Austria! Happy 50th Birthday to Prince Gustav zu Sayn-Wittgenstein-Berleburg! Happy, Happy, Happy 18th Birthday to Archduchess Zsofia of Austria! Happy 6th Birthday to Prince Carl Friedrich of Prussia AND to Prince Louis Ferdinand to Prussia!! Happy 82nd Birthday to Prince Max-Emanuel of Bavaria, Duke in Bavaria! Happy Birthday to Prince Mx-Emanuel! Happy birthday to Prince Max Emmanuel! Happy 49th Birthday to Prince Alexander von Furstenberg!! Happy Birthday to Prince Alexander! Happy belated birthday to Prince Alexander! Happy 31st Birthday to Archduke Christoph of Austria!! 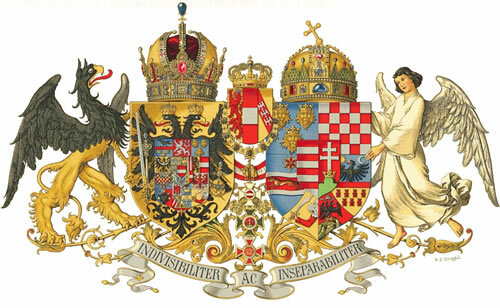 Happy Birthday to Archduke Christoph of Austria! Happy birthday to Archduke Christoph od Austria!